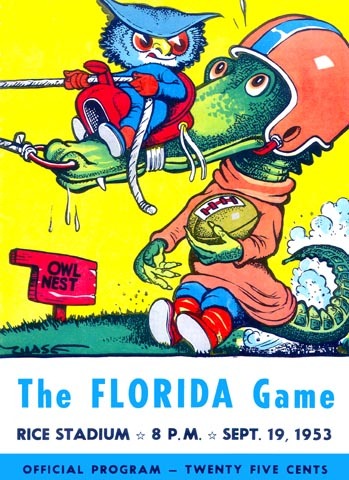 The 1953 season was one of many great years that the Owls had in the 1950's. This one began with a win over Florida and ended with a Cotton Bowl rout of Alabama in one of the more famous bowl games in history. Check out the details on the page we also have for that one.